Vinicius? energy and guile helps a stale and tepid Madrid overcome Real Valladolid at the Santiago Bernabeu. Santiago Solari took charge of his first league match as Real Madrid manager against Real Valladolid. The former Castilla head coach led the first team to a resounding 4-0 victory in the Copa del Rey earlier in the week. However, that was against a Segunda Division B team and Valladolid would be a tougher matchup. There weren?t any drastic changes in the tactical scheme that could be observed during the game. Many of the issues that plagued the team recently persisted as ball circulation was very flat and limited to wings in attack. The main source of danger in the first half was through Reguilon (and Asensio to a lesser extent) who did well to stretch the field and create space on the left side. 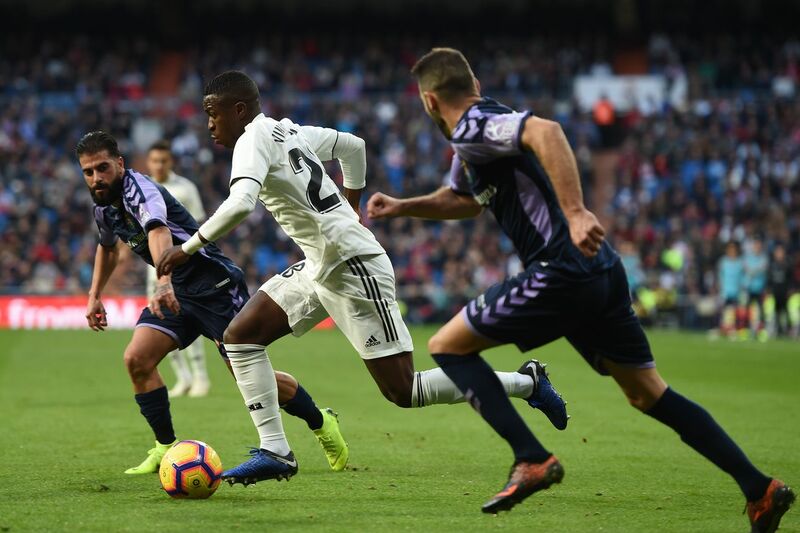 The youngster was continually fed by the midfielders and his service was impressive as it was targeted and created panic for the Valladolid defenders. Crossing from the left side (primarily through Reguilón) was Real Madrid?s main attacking strategy.